Your company’s mission statement not only explains who you are to potential customers or investors, but also establishes a framework for future growth. Having a clear sense of your mission will help you make decisions that stay true to the core values of your company. 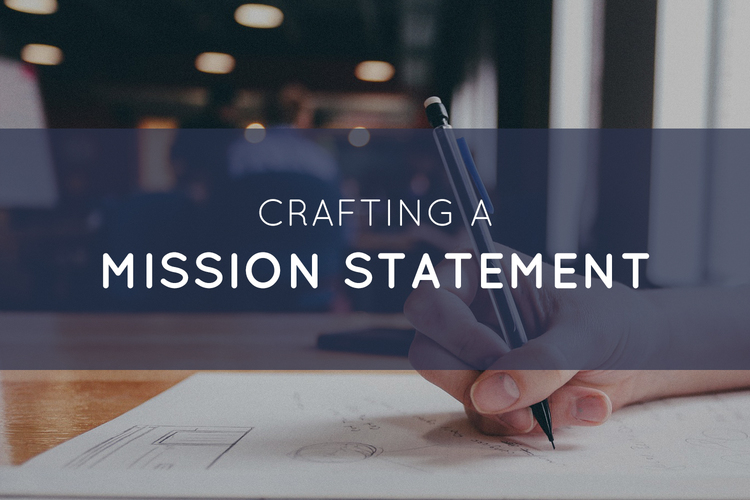 Crafting a mission statement can be a daunting task. Before you begin, we recommend asking yourself three simple questions to ensure you are effectively capturing the spirit of your organization. This question is asking you to outline the most basic facts about your company: What services or products do you offer? While the answer may seem obvious, it’s important to think through the tangible benefits that you are offering your customers. If you can’t make a comprehensive list of your services or products, you need to take a step back and redefine your business plan. The purpose of this question is to determine your organization’s unique method for creating value. Some companies, such as FedEx, pride themselves on efficiency. While their basic service is package delivery, they use logistics and technical innovation to provide value to their customers. A company like Toms, on the other hand, focuses on the charitable causes behind their products. This is the most important question because it asks you to identify what motivates and defines your organization. The core of your company isn’t the products you create or the processes you use to create them; it’s the high-level purpose that you want to accomplish. Nonprofit organizations often exist to bring relief to a certain region or to empower a specific group of people. Yet, for-profit companies also have high-level goals such as making people’s lives safer or even providing returns to shareholders. WebVolta’s mission statement is “We believe that every company deserves beautiful design and innovative technology.” Design and technology are the what. Our core services are branding and development. The how is creating products that are beautiful and innovative. We bring both our expertise as designers and developers and our commitment to staying current on industry changes/trends to every project we undertake. Finally, the why is because we believe that all companies, large and small, can and should benefit from our services. Doctors without Borders: Doctors without Borders (Médecins Sans Frontières) works in nearly 70 countries providing medical aid to those most in need regardless of their race, religion, or political affiliation. IKEA: At IKEA our vision is to create a better everyday life for many people. Our business idea supports this vision by offering a wide range of well-designed, functional home furnishing products at prices so low that as many people as possible will be able to afford them. BBC: To enrich people’s lives with programmes and services that inform, educate and entertain. Having trouble defining your company’s mission? Looking for feedback on an existing mission statement? If you’d like to learn more about how WebVolta can help you establish the mission and core values of your company, use the Contact Us page to send us a quick note.